» Ram Charan Sukumar Movie Titled Is Fixed ! Actor Ram Charan and creative director Sukumar have teamed up for the first time. A rustic entertainer which is set in the backdrop of Godavari belt, the film has Samantha as the female lead. Few days back, Charan urged fans to reach out Sukumar and pressure him to reveal the film’s title. The requests have finally paid off and the title has been announced today morning. Mythri Movie Makers is producing the film and Devi Sri Prasad, a regular collaborator with Sukumar, provides tunes. Samantha who had six film releases last year in 2016, got engaged to her longtime boyfriend actor Naga Chaitanya on January 29 in a private ceremony in Hyderabad. Samantha will be the new replacement. After several months Samantha has signed a film. 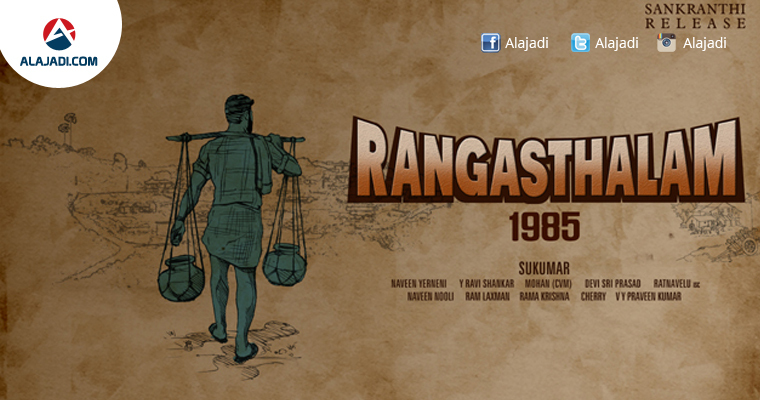 Sukumar has come with an interesting theme poster to announce the movie’s commencement. In the last week of March, the shoot of Rangasthalam started in Pudipalli. Charan’s father Megastar Chiranjeevi’s iconic classic, Aapadbhandhavudu, was also shot majorly in Pudipalli. 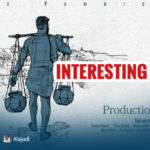 Pudipalli was also featured prominently in several noted Telugu movies such as Krishnam Raju’s Trisoolam, Balakrishna’s Bangaru Bullodu and Allari Naresh’s Praanam. Aadhi Pinnisetty is going to be playing the Antagonist in front of Ram Charan who impressed audience with his role in Sarrainodu. As the poster shows, the film is slated for Sankranti 2018 release.